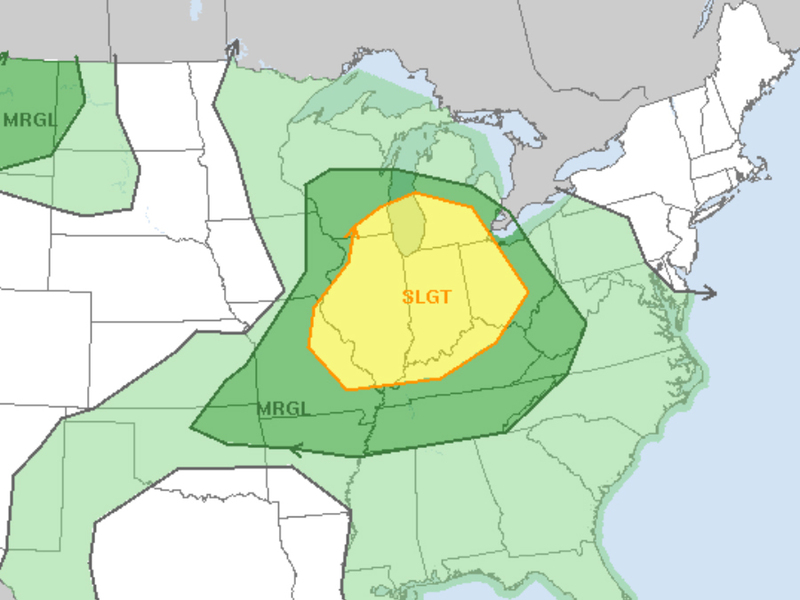 Multi-day severe weather outbreak for the middle-U.S.
After a relatively quiet weather week last week, it looks as if the weather's about to get a lot busier this week, beginning today. A strong low pressure system is making its way across the country, and severe thunderstorms will move right along with it. 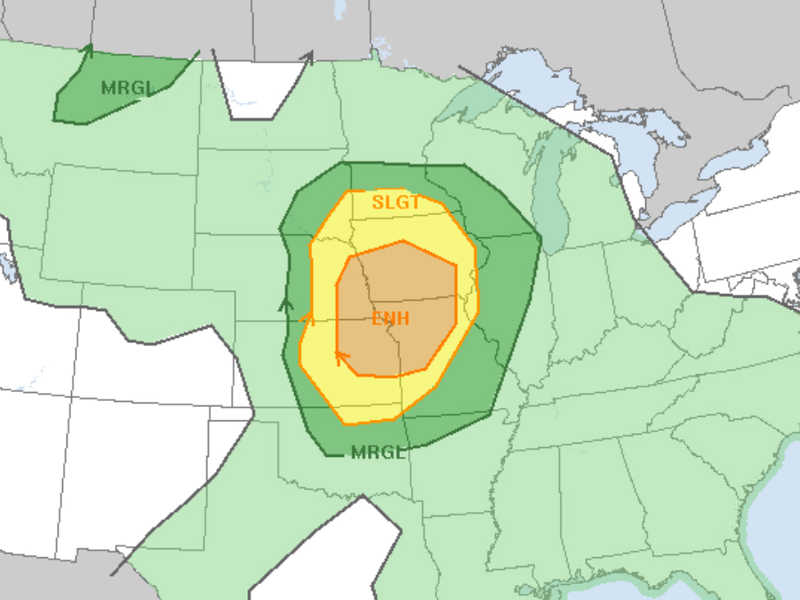 The worst weather begins Monday with a bull’s-eye over eastern Colorado and its border with Nebraska and Kansas. From there, the bull’s-eye shifts to where Nebraska, Kansas, Iowa and Missouri all meet. The cross-country trek continues on Wednesday, but the threat is slightly smaller when it covers Illinois, Indiana and parts of Michigan, Ohio and Kentucky. 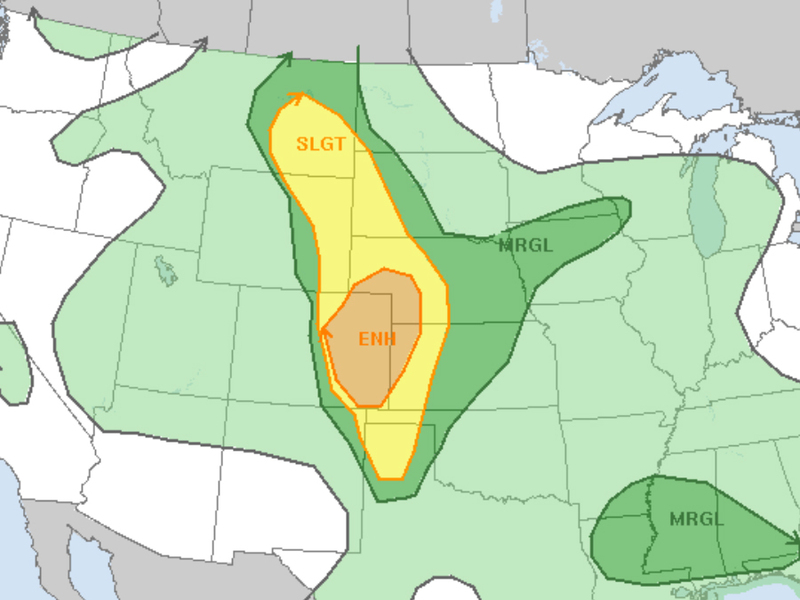 Each of these days will bring a threat of severe storms capable of strong winds, large hail and even a few isolated tornadoes. In addition to the severe weather, heavy, flooding downpours and plentiful lightning are also likely. When severe weather strikes, it's a good idea to have more than one way of receiving severe weather warnings.